NEW YORK (AP) -- If you don't know fashion labels Supreme or Off-White, you've probably also never heard of Grailed, an eBay-like marketplace where those brands are bought and sold. 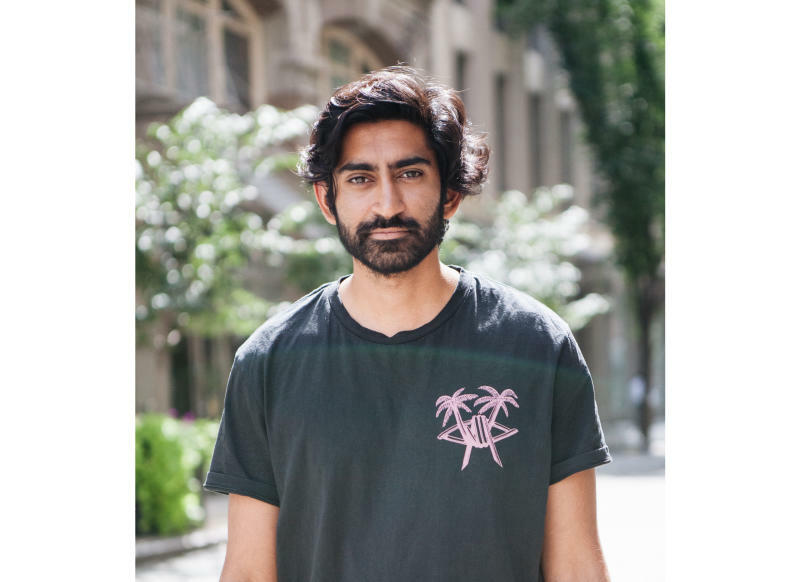 It was started five years ago by CEO and co-founder Arun Gupta, after he realized there wasn't a dedicated site for men's fashion. Now the site has 3.7 million users, and a spinoff site for women called Heroine. Supreme, a 20-year old brand that sells skateboard-inspired fashions, is a hot seller on Grailed, which takes a 6 percent cut of anything sold. Rare finds also do well: an 18-year-old bomber jacket by designer Raf Simons went for $47,000 last year, the most expensive thing it sold in 2018. It helped that rapper Kanye West was photographed in a similar jacket. "'As seen on Kanye' increases the value of something," Gupta said in a recent interview with The Associated Press. The questions and answers below have been edited for clarity and length. Q: Are men interested in fashion? A: I think men talk a lot more about clothes then they ever did before. I think the big thing that's really taken hold in the last five years is that the new fashion icons have become music celebrities. John Mayer is a fashion icon. Like every rapper is basically a fashion icon. Q: What brands are popular on Grailed? A: Supreme is huge. Nike is huge. Off-White is huge. And then brands that are getting really popular right now: there's this brand called Amiri; Gucci is big; Balenciaga is big. Q: What's so great about Supreme? A: That is a loaded question. Q: Why do people go crazy for it? A: The reason why is because you can buy a piece of Supreme for $100 and you can resell it for $300. That's why. It's just economics. And, because of that, you can buy something for $100 and wear it and look like you spent $300. Q: How do you make sure sellers aren't posting counterfeit products? A: We have some pretty sophisticated fraud algorithms. We do a pretty good job reducing the amount of fakes that are there. We have a team of part-time moderators in different time zones who are combing through every listing. Every new item gets approved by them. So they're like, "Hey, send me a photo of the back stitching of this thing or send me a photo of the tags," and they can basically verify everything. It's quick, like a couple of hours, and if you're an established seller you don't have to go through the process. Q: Why use Grailed? Why can't people just sell their stuff on eBay? A: They could sell it on eBay. They're pretty agnostic to the type of goods they sell. They'll sell you a dishwasher or a car or a piece of clothing, they don't really care. For us, we care a lot about what it is that we sell. We pride ourselves on having some kind of taste level. Q: What happens if someone tries to sell a Target T-shirt? Would you throw them out? A: We definitely don't throw anything out. We curate. We have different areas of the website: we have a high-end area, the streetwear area and the catchall area we call core. Q: So the Target T-shirt would make it? Q: Do brands get angry that their stuff ends up on Grailed? A: I think maybe five years ago, people would get angry, but now it's like we just have so many consumers who are in their teens to early 20s getting into clothes and getting into fashion. I think brands recognize that we're a gateway.